So, you’re looking for that perfect, low-cost flooring solution. Could be your office, your shop, your garage, or even your home (like that basement floor with it’s really cold floor) needs the benefits that carpet tiles provide: Really easy installation (you can do it yourself, it’s that easy), long-lasting (because it was made for commercial use), easy to clean, and if you damage it in one area, it’s cheap, take out the damaged tiles and replace just those kind of things (unlike carpeting that you’d end up taking all of it out and having to replace the whole room – ouch!). Below our contact form, you can read about what needs to be done to install carpet tile – this is good information whether you have a contractor do it or do it yourself. Available sizes and patterns are dependent on current inventory in-stock, so be sure to call ahead. And, now, for the low-cost part. Eight-Five Cents per square foot. That’s it. Now, compare that to buying regular broadloom carpet; you’ve got to have tack-strip installed, then padding, and, finally, the carpet cut and stretched to fit your space. 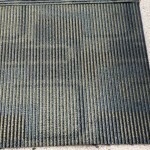 If you’ve purchased carpeting before, you know how the costs add up, the carpet, the pad, the installation – sometimes you even get charged to remove and dispose of your old carpet. That might be fine if you’re putting it in your living room, but you wouldn’t even consider putting it in your garage or any another heavily trafficked area – it just won’t last. 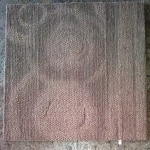 That’s when you turn to our Recycled Carpet Tile. Our quality and pricing beats even the cheapest grade tile you find elsewhere. The down-side? 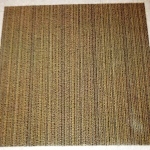 Most of our customers don’t think of this as a negative, but we need to say it: Our Recycled Carpet Tile is used. Yup, it has been (usually) in an office environment. When the building owner or the leasee wanted a different color or pattern, they looked to us for an alternative to the business-as-usual, throwing it in the dumpster, destined for the land-fill. These tiles can have remaining useful lives lasting decades, and much of what we have available looks close to new. The other down-side? You can imagine that a pattern we have available today could be sold-out tomorrow (even today, sometimes), or we might bring in such a large supply of a pattern that it’s available in huge quantities. All we’re saying is that the pictures below are examples of our stock, not necessarily what we have on hand right now. 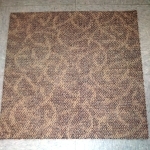 Check out the pictures, send us your questions, and then come to our plant to see a few sample patterns. You’ll be impressed. We’ll do your demo, tear-out – AND – recycle your carpet tile. The business reason is no cost to a separate contractor to remove it, no cost to the waste disposal provider, and no separate cost to recycle. Calling us really is that elusive win, win, win we all hope to find. Let us know what your project entails and we will let you know if we can meet your deadline (we usually can). 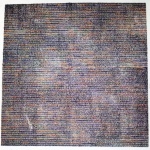 Installing Used Carpet Tile is Easy: FAQs! 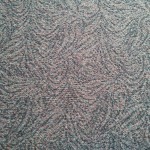 Our clean, used commercial carpet tile is easy to install. It is very similar to installing vinyl tile, but in many cases you don’t have to glue it down. Of course room shape and size may offer some challenges, but unlike a roll or broadloom carpet, commercial carpet tiles don’t need to be stretched, seamed, or have a pad installed first. Easy installation was one of the main considerations when it came to the development of carpet tile. The problem carpet tile solved was how to replace broadloom, (or carpet that comes in rolls) in commercial buildings without disturbing the day to day operations. Traditional broadloom carpet is fine for new installations, but when you have a working commercial building with fixtures such as desks, computers, shelves and cubicle dividers, replacing worn broadloom is a challenge. 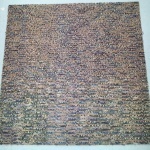 The solution, a carpet product that installed like a tile, aka “carpet tile”. Technology was developed to expedite removing broadloom without tearing down the whole commercial space and disrupting operations. Unfortunately while lifting the office equipment a few inches allows for removing broadloom, it does not allow for it’s replacement. Broadloom is still installed in new construction, but companies that look forward, choose carpet tile because they know that in the long run, a little more expense up front will save a lot more expense when it comes to updating worn flooring. Top Five Questions We Are Asked..
1. Do I have to use adhesive when I install used commercial carpet tile. – Although new carpet tile is glued directly to a prepared concrete sub-floor, you don’t necessarily have to glue used commercial carpet tile down in your workshop, home or business. Typically there is just enough “stickem” left on the carpet tile to secure it in place. 2. 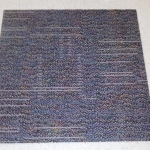 Do I need to put down a carpet pad first before installing the used commercial carpet tiles? 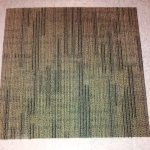 No, heavy duty commercial carpet tile has the pad attached and is designed to be put directly on a prepared sub-floor. A “prepared” sub-floor is one that is solid, clean, and level. In a case where any carpet tile is to be glued onto the floor, the surface, which is typically concrete, is cleaned of dust, oils, and paint, sealed, and then adhesive is spread before laying down and aligning the carpet tile. 4. How level does my floor have to be? 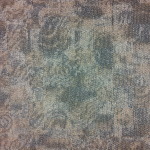 One of the nice things about commercial carpet tile is that it is flexible. We have seen successful installs on basement floors that have heaved. If the sub-floor features a rough texture, using a leveling compound does improve the look and wear. 5. 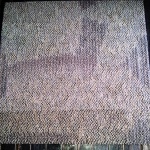 How long would you expect used carpet tile to last? Heavy duty commercial carpet tile life span, as with any carpet, depends on traffic, installation and of course, initial quality. The used commercial carpet time we sell is first quality, so we expect that it will be one of the longest wearing carpets you can install, especially in high traffic areas. So we can’t really put a lifespan on this product, but it is designed to stand up to the wear and tear of high traffic commercial applications. Use tiles as noise reduction insulation in your sound-room or as a barrier between you and the cement floors in your basement or garage.